Click the button below to add the Harley Dyna Switchback Batwing Fairing 83-0000 to your wish list. What’s that on the road? It’s a tourer, it’s a cruiser, it’s a Harley Switchback. Designed to be two bikes in one, the Switchback is well suited to the kind of riding you have in mind. Your new Vector Batwing Fairing will add even more to the appeal, no matter which alter-ego you’re riding at any time. The custom fairing design fits easily on most Switchback configurations and adds great looks, enhanced comfort and improved economy whether you’re on a multi-state tour, or an afternoon mountain road cruise. Lightweight, strong and scratch resistant, a Vector Batwing Fairing fits right in with your Switchback’s split personality. Our advice? Leave the panniers in place and carry a change of clothes. When you’re riding with the added comfort of a Vector Batwing Fairing, the desire to just keep riding may be more than you can resist. These fairings are designed to fit 2012-present Harley-Davidson Switchback but there are many different models, factory upgrades, and custom aftermarket parts so some modification may be necessary. 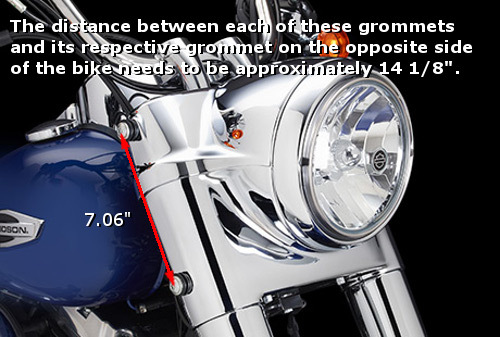 Each fairing comes with one clear and one tinted windshield at no additional cost.